We end the month with some awe-inspiring new creativity from the first batch of winners from our Ello x Fabrik Heroes 2019 competition, but first; let's spend some time in nature. Photojournalist, filmmaker and cinematographer Steve De Neef is based in Maine. 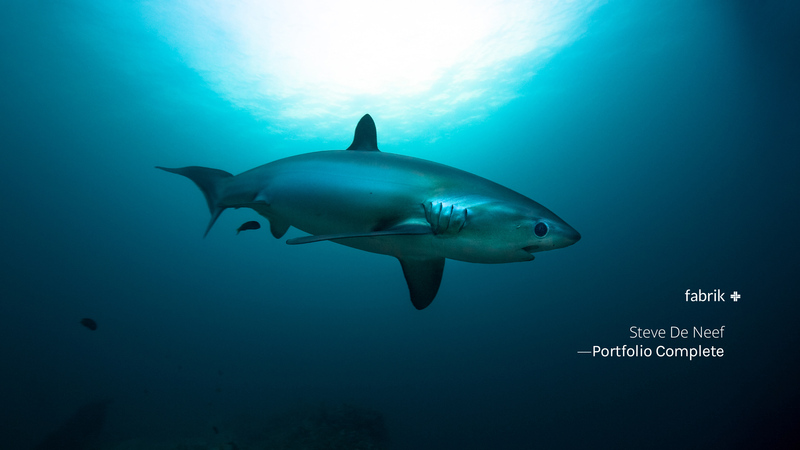 He specializes in conservation, documentary, underwater and aerial photography. Steve works with scientists and NGO’s in the hopes of inspiring positive change and getting research and conservation efforts seen by a broader audience. As a broadcast cinematographer, Steve has filmed for the BBC Natural History Unit series Shark and National Geographic's 2017 documentary Sea of Hope. 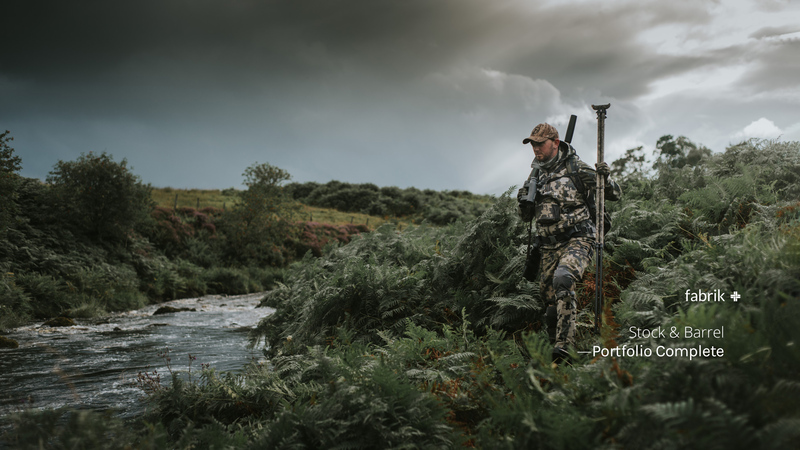 Stock & Barrel specialise in deep, rich photography for the shooting & field sports industry - covering shoot days to high-end commercial work for brands. The team share a passion to showcase the pursuit and the countryside in the best light. 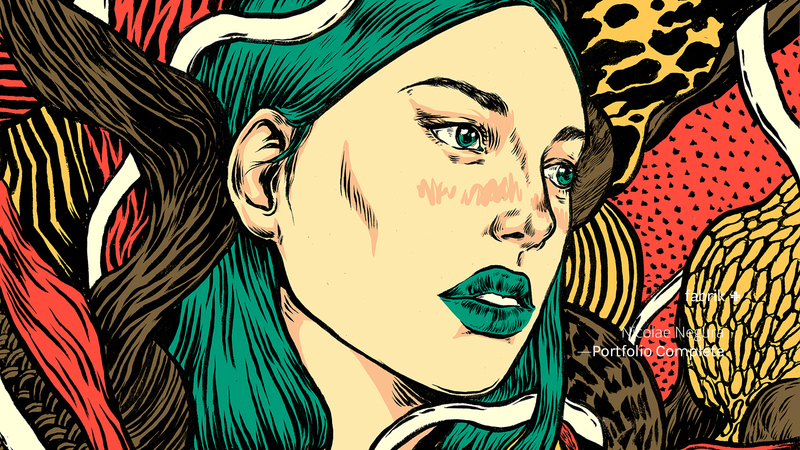 Illustrator Nicolae Negura is the first of our Fabrik x Ello showcase winners. Originally from Romania, Nicolae has decided to make Lisbon his home and his source of inspiration. His work is a combination of strong, saturated tones and a rough ink trace that resembles vintage comics. Fashion photographer Eleonora Vergnano is based in Turin. Her work has been featured in Vogue Italia, Elegant Magazine, Scorpio Jin and Faddy Magazine. We're always keen to see your new Fabrik portfolio. Follow our social feeds and tag your new work with #onfabrik when you're ready to show it to the world. Creativity from across the Fabrik community featuring Ninian Doff, Patrick Meller, Ann Evelin Lawford, Dave McEllistrum, Pat Blades, Diana ﻿Neto, Louis Hollis, Essence ﻿Ransome, Eleonora Vergnano, Michael Kettenbeil, Sarah ﻿Cunningham, Esther Lalanne, Luis Monteiro, Raquel Villa, John ﻿Robert Brown, Jordan Rossi, Marcus Ebbett and Lena Modigh. Chapter 17 opens with explosive colors, imaginary universes and transformed lives in Hackney. Intrigued? Meet our creators, Per Bagger, Patrick Blades and Louis Hollis. This month we celebrate established and new creativity from the Fabrik community with four talents who each have their own particular ways of projecting their realities.